A new report entitled “The Effects of Exposure to Better Neighborhoods on Children” authored by Raj Chetty, Nathan Hendren and Larry Katz explores the long-term impacts of HUD's Moving to Opportunity (MTO) demonstration. The study expands the body of evidence on MTO and while it is not funded directly by HUD, it does rely upon data from the original demonstration provided by HUD as well as the Internal Revenue Service (IRS). A companion study by Chetty and Hendren called “The Impacts of Neighborhoods on Intergenerational Mobility” further explores the linkages between the place a child is raised and their outcomes as adults across measures including income and college attendance. Findings from both studies support HUD's current policy direction of fostering opportunities for mobility while also investing in a place-based approach. 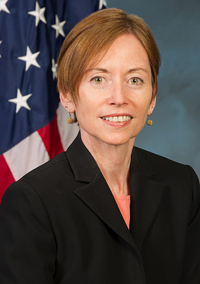 Below, Assistant Secretary for Policy Development and Research Katherine M. O’Regan responds to a series of questions about these studies, the Moving to Opportunity Demonstration, and what it all means for HUD policy and practice. Q. What is Moving to Opportunity? A. Moving to Opportunity (MTO) was a demonstration implemented by HUD in the late 1990s, in five cities. Families living in public housing in high poverty neighborhoods that volunteered to participate in this research study were offered the chance to receive a housing voucher. Through a random lottery, one group of families received vouchers restricted to use in low poverty neighborhoods, along with counseling assistance to facilitate the move. Forty-nine percent were successful at locating and leasing a unit. Another group received a standard voucher with no location restriction or any counseling assistance; 64 percent were successful at leasing a unit. Finally, another group of families were not offered any voucher at that time, remaining in public housing and serving as the “control” group for comparisons. We are especially grateful to all of the families for their willingness to share their lives with us for so many years. Q. What are the key results from the Chetty, Hendren, and Katz Moving to Opportunity findings? A. Raj Chetty, Nathan Hendren and Larry Katz’s recently released study “The Effects of Exposure to Better Neighborhoods on Children” is the latest in a series of reports since 1996 on the impacts associated with giving families in very high poverty public housing communities an opportunity to move with a housing voucher to a neighborhood of much lower poverty. This study examines how moving as a child from high poverty to low poverty between 1994 and 1998 has impacted the adult economic outcomes of those children. These findings show that if the child moved at a young age – less than 13 – the move had positive long-term impacts for the children as adults. Those impacts include higher earnings, higher rates of college attendance, and higher rates of marriage (for women) relative to their peers in the control group. The research shows that the younger the child at the intervention, the bigger the positive impact. The research also shows that the impacts were either not experienced or were negative for those that moved when they were older than 12. The researchers suggest this may be due to a “disruption effect”. This research is a new contribution to a large body of work that has already shown very large positive impacts on the mothers in the households in terms of mental and physical health. There were also very positive mental health impacts for girls of all ages. That prior research, however, showed no economic or academic impacts for the mothers or youth prior to this study. Prior research has also shown no or negative impacts for male youth of all ages in terms of behavior and mental health outcomes. Q. What are the key findings from the Chetty and Hendren work on Intergenerational Mobility? A. Chetty and Hendren along with Patrick Kline, Emmanuel Saez, and Nicholas Turner have established an ongoing research effort assessing economic mobility in the U.S. The new study from Chetty and Hendren builds on this valuable work by exploring causal linkages between the county in which a child is raised and the outcomes of those children as adults. Specifically, the study examines different ‘exposure time’ impacts for children who move to low-poverty counties at a younger age than those who move when they are older. The cumulative effect of living in one of the top counties since birth raises adult earnings by 17 percent over the national average and there is considerable variation within metropolitan areas. Consistent with the MTO findings, this work also finds differences in the outcomes of boys and girls. Environment matters most for the lowest income children in general, but this is especially true for boys. For example, the study finds that areas with high crime rates and a large percentage of single parents generate particularly negative outcomes for boys relative to girls. The authors find that areas that improve upward mobility tend to have five characteristics in common: less racial and economic segregation, better schools, lower income inequality, lower rates of violent crime, and a larger share of two-parent households. It’s also worth noting that this study finds that areas that are good for low-income children are, on average, no worse for high-income children. Q. How might HUD change its policies based on the new work from Chetty, Hendren, and Katz? A. HUD’s current policy and policy proposals are consistent with these findings. First, we need to expand our Housing Choice Voucher program to give more precariously housed families the housing assistance they need with a tool, the voucher, that allows them choice in the neighborhood they live. As this research shows, stable housing is critical, and for some families stable housing in a low-poverty neighborhood can have long-term benefits for young children. Second, we need to expand our efforts to improve the neighborhoods low-income families live in. HOPE VI has transformed more than 250 communities and its successor Choice Neighborhoods is implementing the best lessons from HOPE VI and the MTO research. We also must continue to invest in revitalizing our public housing inventory by leveraging private equity with the Rental Assistance Demonstration to reduce the more than $25 billion backlog in repair needs. Q. Will these findings lead to a policy that all assisted families with young children must live in low-poverty neighborhoods? A. No. For several reasons we see this kind of policy as unfair to family choice and likely more detrimental than beneficial. Specifically, we know that not all families will succeed at leasing a unit in a low-poverty neighborhoods – less than 50 percent were successful in MTO even with extensive counseling. Having an affordable unit has enormous positive benefits for children, including increasing housing stability. We can’t deny those benefits because a family cannot find a unit in a low-poverty neighborhood. In addition, families often have children of different ages. Each family needs to have the ability to decide for itself what is most beneficial to their family. Q. Does this research mean that Public Housing Authorities should do more to help families locate units in low-poverty neighborhoods? A. Yes. We believe this research means that the Congress, HUD, and PHAs should work together to make sure that families have good choices available to them. We know from MTO that families were more successful at leasing units if the counseling agency identified potential units for them to lease-up. This kind of work is hard and more expensive for PHAs to undertake. Our recently released study on the cost for PHAs to administer the Housing Choice Voucher program shows that we have not funded the administrative cost of PHAs adequately in a number of years. We have requested a higher rate of funding in FY 2016 to support PHA management of the program, which includes doing more to help tenants locate units that would be most beneficial for their family. Q: Isn’t there more that HUD can do itself, to improve the ability of voucher holders to access lower poverty neighborhoods? A. Yes. There are aspects of the HCV program that can be improved to better support such moves. We are about to issue a notice of proposed rulemaking, requiring agencies with concentrations of voucher holders in high poverty neighborhoods to use Small Area FMRs, which are Fair Market Rents set at the zip code level rather than metropolitan-wide. Preliminary evidence has shown this to be more effective in enabling voucher holders to move to lower poverty neighborhoods. HUD is also working to make voucher portability moves easier for PHAs and tenants as well as working to ensure that PHA success in supporting opportunity moves is recognized in their performance ratings. Q. In prior administrations there have been proposals to “voucher out public housing.” Does this research support that type of policy? A. No. How we see this research as another exclamation point on the need to preserve and expand public housing and project based vouchers in lower poverty neighborhoods that have low crime and good schools. Housing vouchers pay the difference between 30 percent of a tenant’s income and the 40th percentile rent of a metropolitan area. That means it is hard for vouchers to work in the lowest poverty neighborhoods where this research shows they will have the greatest positive impact on young children. This research also shows that we need to continue to invest in current neighborhoods of high poverty to make them neighborhoods where families are able to live in decent housing, are safe from crime, and are able to access good schools and other services. Q. The various studies talk about different geographies—neighborhoods, counties, etc.—but does the scale of the place really matter in terms of policy solutions? A. Yes. The MTO work considers neighborhood quality whereas the companion study primarily focuses on differences at the county level as well as ‘commuting zones,’ which are really metropolitan areas. While the message is clear that place matters, so does the geographic scale of the place in question. We know that the policy interventions HUD might apply to neighborhoods are necessarily different to those we might apply at the county or metropolitan levels.